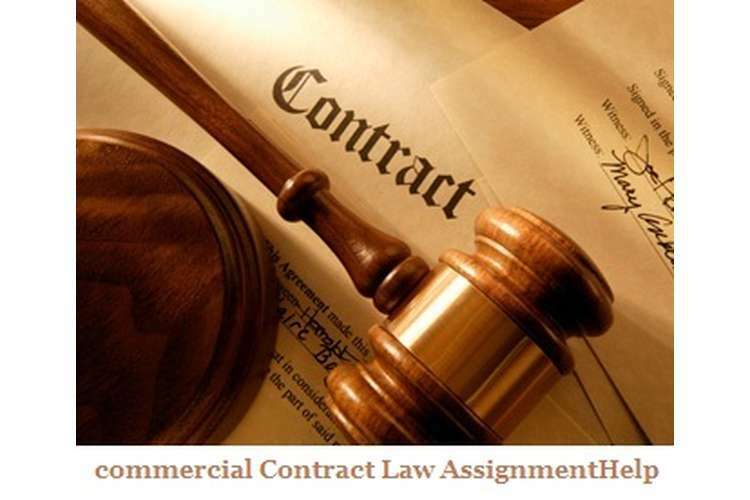 This is a solution of commercial contract law assignment help in which we discuss of contract between two and more parties. Most cases contract are enforceable. In few cases their involvement of domestic or social agreement. A contract is a formal agreement between two or more parties who have consent for exercising the same. All the parties involved in a contract are bound to perform as per the norms or clauses of the contract. In case, anyone fails to exercise any or whole of the contract will be liable for the breach and held by the court for penalty. 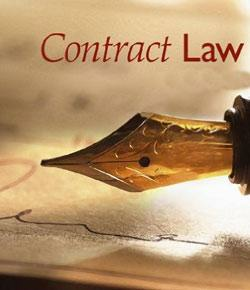 contract varies from person to person and on the basis of the nature. In most cases contracts are enforceable, except few cases where there is involvement of domestic or social agreement. The report deals with such two cases where in one case the contract is unenforceable as per contract law and in the other case it is enforceable. A legal relationship is very important for entering into a contract between the parties which otherwise can lead to loss or damage either financially or in terms of physical asset. But there are certain cases where parties enter into contract through mutual terms and none of them are legally bound to comply with the promises made in past. The case of Richard and his father is quite similar to this where the father promises to pay $200 as weekly allowance to his son who is an impoverished university student for cleaning their property. Initially the father contracted a person for this job whom he used to pay $350. Now he has asked his son to do this in return of an allowance to him. After four weeks the father declined to keep his promise and asked the son to do the job without any payment as this is supposed to be his duty being a member of the family. In return he is getting food and lodging. This case is related to a husband and his wife. The husband, Mr. Balfour was a British civil engineer working in Sri Lanka (then, Ceylon). The husband has promised to send his wife monthly household allowance of £ 30 per month as she was asked to stay back in England due to inability to sustain the climate in Sri Lanka. But later on the got separated and Mrs. Balfour sued her husband for not keeping his promise to pay the household allowance, which he has stopped by then(Elliott and Quinn, 2007). The Court of Appeal unanimously declared that Mrs. Balfour cannot sue her husband on grounds of breach of promise as there was no enforceable agreement between the two. Thus, this being a domestic/social agreement does not have any weight to be claimed for loss of damages. Similarly, in the case of Richardhe cannot sue his father on grounds of breach of contract as this is an agreement of domestic nature. On the other hand it is domestic responsibility of Richard’s father to provide food and lodging to him. So, both of them have obligation towards each other. Joe, a renowned film actor enters into a contract with Frere Brothers, under which the actor is bound to work with the production house for a period of five years, as well as the actor cannot sign any other agreement with anyone else during this time frame. Joe is bound to serve Frere Brothers exclusively. But Joe enters into a contract to star in a film made by Pretty Pictures. Under this case Kemble is the plaintiff and Farren is the defendant. Farren the actor enters into a contract with Kemble, the manager of Garden Theatre and decides to play the role of the leading comedian for the company. The contract was made for a period of four seasons according to which the actor cannot enter into any other agreement with any other company. The contract included a clause according to which, if the actor is found to have breached the contract will be liable for the damages caused to the company and have to bear the same. Farren breaks the contract at the beginning of the second season and becomes liable for the damages as per the contract policy. The manager of the theatre company lodged a case against the actor on grounds of breach of contract and claimed for the damages caused by him. The court ruled in favour of the plaintiff and the defendant was made to pay liquidated damages, which was not a penalty. Similarly, in this case also Joe has to bear the liability of the damage caused to Frere Brothers as a result of breach of his contract before the beginning of the second season. The actor has to bear the expenses incurred by the production house. In this case the Hollywood Fantasy Corporation lodged a case of breach of contract against actor Gabor. Hollywood Fantasy Corporation was involved in the business that provided fantasy vacation camps. They used to create fun opportunities for vacationers to interact with the actors by pretending to make movie with several actors and actresses. Once the Hollywood Fantasy Corporation signed a contract with actor Zsa Zsa Gabor for making an appearance in their fantasy vacation camp. However, Gabor did not comply with the contract and rejected to appear only two weeks prior to the date of event. The tickets were already sold to the vacationers(Chen-Wishart, 2005). This inconvenience made Hollywood Fantasy Corporation cancel the whole vacation event and this eventually resulted in winding up the business for the company. As a consequence of this inconvenience Hollywood Fantasy Corporation sued Gabor on the grounds of breach of contract. But the profits that the company lost was extremely unclear on the basis of which the company can claim for expectation damages. It was difficult for the court to determine the number of tickets that were yet to be sold or the exact amount of profits which can be made out of the filmed portions of the event. The court finally ruled to recover reliance damages by Hollywood Fantasy Corporation. This reliance damages included the expenses incurred by the company such as actual expenditure of the company including the amount spent for printing the brochures for the event and advertisement expenditure; by relying upon the promise made by Gabor of attending the event, but later backed out of it. The court ordered to recover the reliance damages by the company. Therefore, if an actor fails to abide by the policies of contract and breaches the same for which the innocent party has to bear loss or damage, the court will always ensure that the innocent party is able to recover the damage so caused from the proceedings that resulted in reliance loss or damnum emergens and the profit the innocent party could have earned had the actor not broke his/her promise or contract. In this case the actor Joe fails to comply with the contract signed between him and Frere Brothers. Another remedy that Frere Brothers can opt for is Injunction. An injunction is a kind of legal remedy which the innocent party can use in cases where the party has incurred loss or damage because of the person who has breached contract. Injunction is something that the affected party can claim wherein the other party who have breached the contract has been made to stop from continuing any such breach in future(Taylor and Taylor, 2009). The court in such cases allows the plaintiff to use public enforceable weapons such as imprisonment or fine against the defendant who has breached the contract and brought loss to the plaintiff. This can be explained by the below mentioned case law where the plaintiff sued and asked for injunction against the defendant. Nelson, a famous actress backed out of an acting contract with Warner Brothers Pictures. Here, Warner Brothers Pictures is the plaintiff and Nelson, the actress is the defendant. Warner Brothers Pictures sued and asked for an injunction from Nelson, so that she cannot breach any more contracts in the future. Moreover, it was issued by the court that the actress will not be able to act for any other companies. The court did not pressurize the actress or make her obligated to work for Warner Brothers Pictures. Hence, if Frere Brothers follow the injunction process they can avoid Joe from indulging in such things in the future. This procedure will not enable the actor to breach any contract in the future but it might not ensure that the actor has to work with Frere Brothers on the contract which he has left incomplete(Lindsay, 2004). Hence, there are two ways in which Frere Brothers can deal with Joe for breaching contract with them. Both of these can be enforceable by the court. Therefore, it depends upon the Frere Brothers how they would deal with Joe keeping in mind the norms of their contract and which will be the best suited option in this case. The report deals with the nature of promise while entering into a contract. One promise can be of unenforceable nature being given on grounds of personal relationships and the other being business corporation contract. In case an agreement is made which is of domestic nature the promisee does not have any legal right to claim for the loss suffered as there is no written or formal agreement between the promisor and the promisee. Such kind of agreements always depends upon good faith. Whereas, in case the promisor and the promisee enters into a legal contract which is either written or verbal is bound to exercise the same. If not, it will lead to breach of contract on the grounds of which any of the party, who have breached the contract, will be liable for legal proceedings for such violation. Beale, H. and Tallon, D. (2002). Contract law. Oxford [England]: Hart Pub. Chen-Wishart, M. (2005). Contract law. Oxford [UK]: Oxford University Press. Elliott, C. and Quinn, F. (2007). Contract law. Harlow: Pearson Longman.